Paulina is IT Audit Manager focusing in IT Audits. She has over 10 years diversified experience in advising clients in IT security, Risk and Control matters relating to data, information, data and technology. Paulina holds an Honours Degree in Information Technology – Business Computing from the Namibia University of Science and Technology. She is a Certified Information Systems Auditor (CISA) and Certified Information Security Manager (CISM). 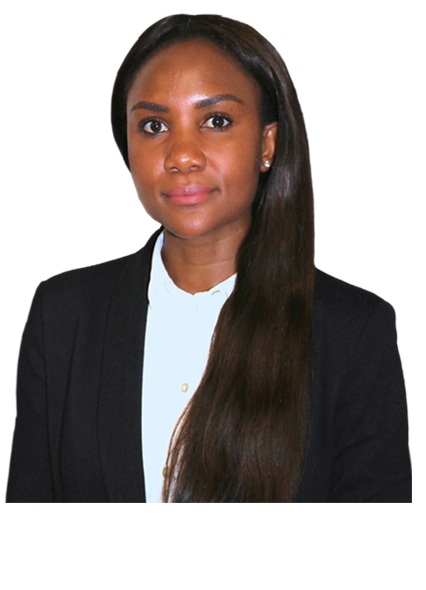 Paulina has worked in the professional services in Namibia and the United Kingdom (UK), for one of the largest African, UK and Global Bank. She is skilled at managing and delivering a cross range of disciplines including: Internal and External IT Audits, Data Governance Assessments, IT Assurance Reviews (including internal and financial audits), Regulatory reviews (Solvency II, Basel II, APRA, FSA, PRA, FCA), IT Resilience Reviews, IT Programme Reviews; Programme Delivery (Solvency II), Attestation Work (e.g., AAF 01/06, SOCR and Sarbanes Oxley 404) and Strategic Initiatives. Paulina led, advised and delivered projects across Banking and Capital Markets, Insurance, Telecommunications, Pension Funds and Public Sector, Retail and Mining markets in Namibia, Southern Africa and the UK. In IT Risk Management, Paulina worked on numerous assignments as a subject matter expert in the Technology Risk Function at leading UK Banks. Her experiences include reviewing IT governance structures, establishing a risk governance team, benchmarking, implementing IT risk and control framework, producing Board and senior management reporting and designing/enhancing the IT risk and management framework. Paulina has extensive IT project management experience, including; driving overall plan, monitoring key interdependencies, risks and escalating to steering committees as appropriate and performing Quality Assurance over key deliverables and developing steering committee reports. Paulina is a member of the Information Systems Audit Control Association (ISACA) and Institute of Internal Auditors (IIA) and Institutes of Leadership Management in London, United Kingdom.